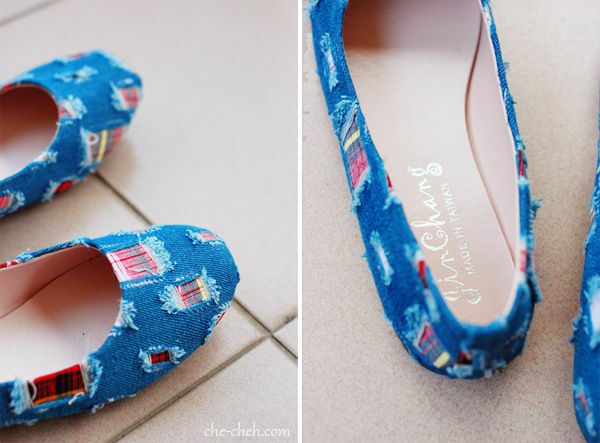 The moment I saw this denim flats, I know I gotta have it. I prayed it has my size. I prayed my feet looks good in them. So yes, I bought it. 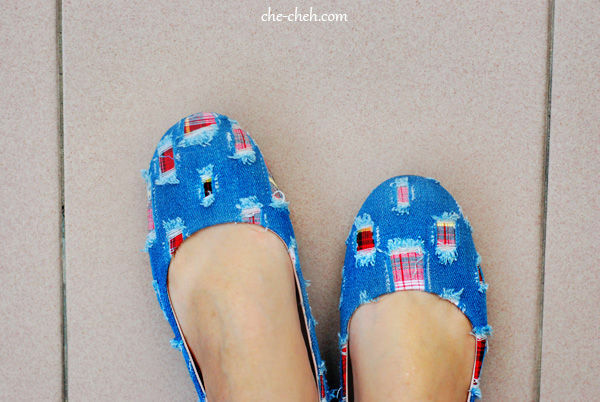 This cute distressed denim flats is 💘❤. Love the rugged eccentric design. But then when I wear it for long walks (e.g. shopping mall), my feet hurts. Short walks are okay though. 1. Wear no show socks. 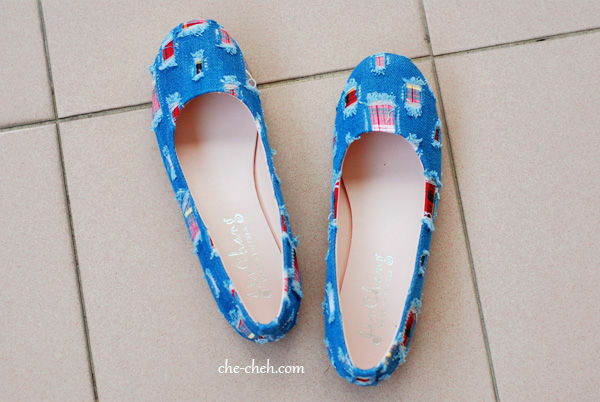 Sure is cute but I cannot wear these kind of flats without any support. I need to have extra cushioning for my arch and plantar ficiatis. Hi Dawn, if add extra cushioning then you will need larger shoes size? Yeah, half a size up usually. At times it’s quite leceh coz not all shoes has half sizes. Sometimes I look for half a size up shoes too because the rounded number shoes sizes are either too big or too small. Depends on cutting. Yalor but hopefully socks can help.